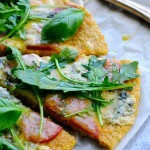 I love this gluten-free pizza with quinoa crust! 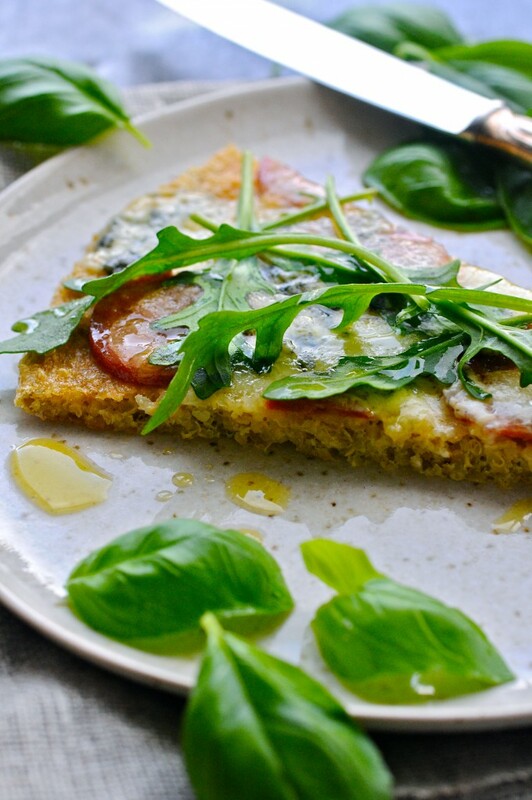 I am not sensitive to gluten but I know a lot of people who are and this pizza works really well as a substitute for the traditional pizza with a crust made of flour. I make it simply because it tastes great and not least because it’s super healthy! Quinoa is a whole grain that is packed with fibres and protein and on top of that it is high in amino acid. Well, actually quinoa is not really a whole grain. Botanically it is related to beets, chard and spinach but nevertheless it is still considered as such by for example the Whole Grains Council. I think they call it a pseudo-cereal. The grain is equally rich in fiber, iron, phosphorus and magnesium and can be found in several colors. All of these benefits together pretty much sums up the reason why I love this whole grain so much! By the way, if you are interested in learning more about quinoa check out my free ebook Whole Grains with more of my best quinoa recipes. I have topped this gluten-free pizza with chili sausage, blue cheese and fresh mozzarella but you can basically put anything you want on it. If you are a vegetarian, I suggest you try topping it with spinach, ricotta cheese mixed with a little nutmeg and lots of mozzarella. That combination is really, really good or you could just go with the combination of parma ham, gorgonzola and fresh figues, also one of my favorites! Cook for about 15 minutes or until all water is absorbed and allow it to cool. Mix finished cooked quinoa with eggs and salt. 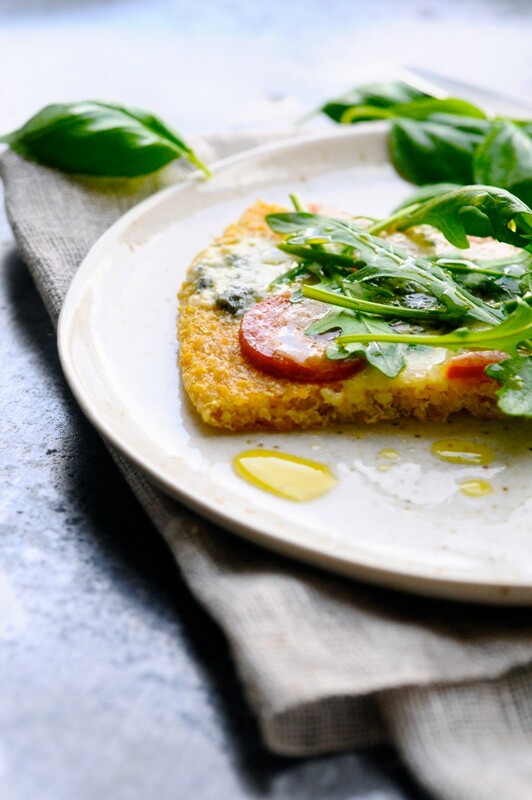 Spread quinoa mixture onto a baking sheet lined with baking paper using a ladle so it forms a beautiful round pizza base. Bake the base in the oven at 200 degrees for approximately 20 minutes or until it has obtained a light golden surface, can be lifted from the baking paper and feels solid. 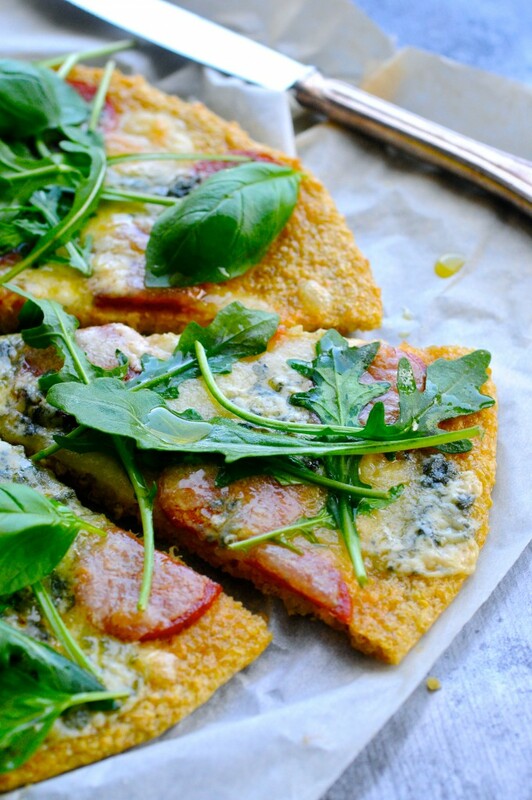 Spread the toppings (except rucola and basil leaves) on the pizza. Bake in the oven until the cheese is melted. 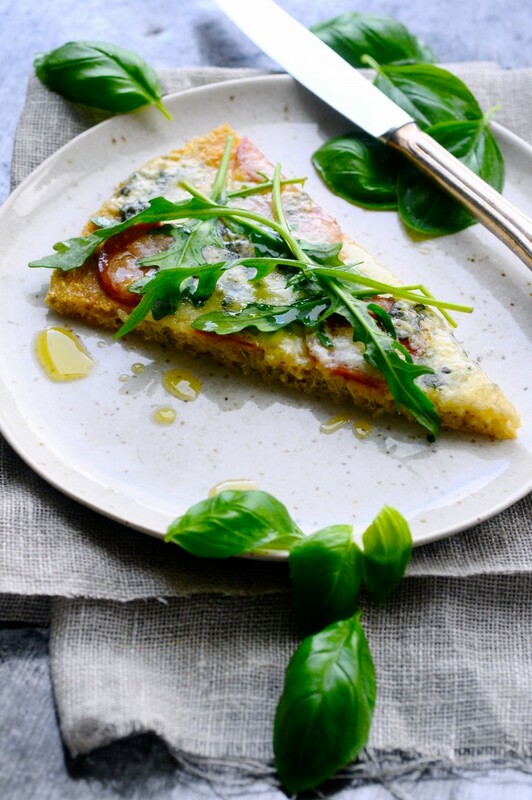 Garnish with rucola and basil and serve.